First, I must apologize for the lack of activity on the blog: due to some unfortunate and unforeseeable computer problems, I am left forlorn and laptopless as my time at Shandy Hall begins to end. 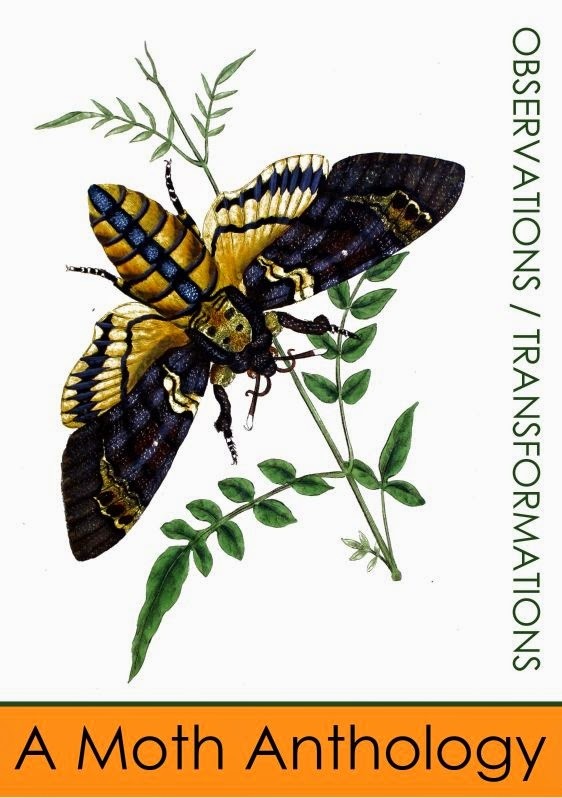 Secondly, I must apologize on behalf of all humanity, for the lack of moths in the gardens: climate change and rising temperatures have caused many caterpillars’ foodplants to dry up, in addition to the continual loss of natural habitats. So I’ll present you today with a collection of a few particular moths from the traps we’ve been setting this past week. 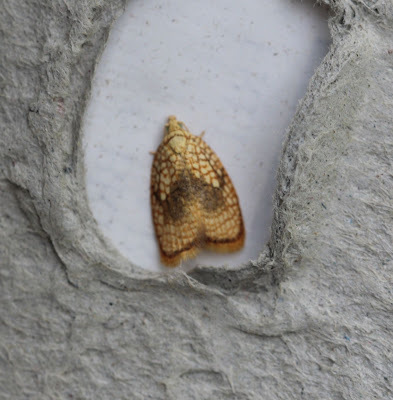 A moth that I almost missed because of its similarity to Agapeta hamana is the Agapeta zoegana, a vibrant yellow creature with poignant golden brown marks. Agapeta means beloved/ desirable from its beautiful appearance and zoegana is the name of the Swiss entomologist who discovered it, who happened to be a pupil of Linnaeus. So, this moth is a member of an esteemed legacy of entomologists. Lucky little moth! Another common but attractive moth is the Acleris forsskaleana. This moth has yellow forewings and has funky reddish-brown, net-like patterns. Its habitat is extremely wide-spread and can be found in woodland, scrub, hedgerows, parks, orchards, and gardens –really anywhere as long as it can get its fix of Field Maple and Sycamore. Acleris means ‘unallotted’ and is a genus set up to accommodate species who don’t fit in anywhere else; a genus of misfits. So that’s it for this week’s lepidopterist roundup! A bit of a hodgepodge, but these moths all deserve some time in the spotlight. Cheers!